For more information about Soft Liners or to schedule a consultation with David R. Stagge, DDS and Sherry A. Stagge, DDS, call our office in Muncie, IN at Advanced Family Dentistry of Muncie Phone Number 765-287-7000. Soft liners require regular follow-up visits with Drs. 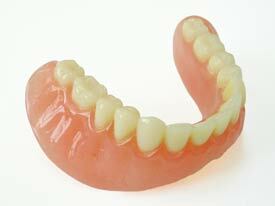 Stagge and Stagge to examine the fit of dentures and general oral health.